I have never seen one of these before and had no idea such a thing existed. 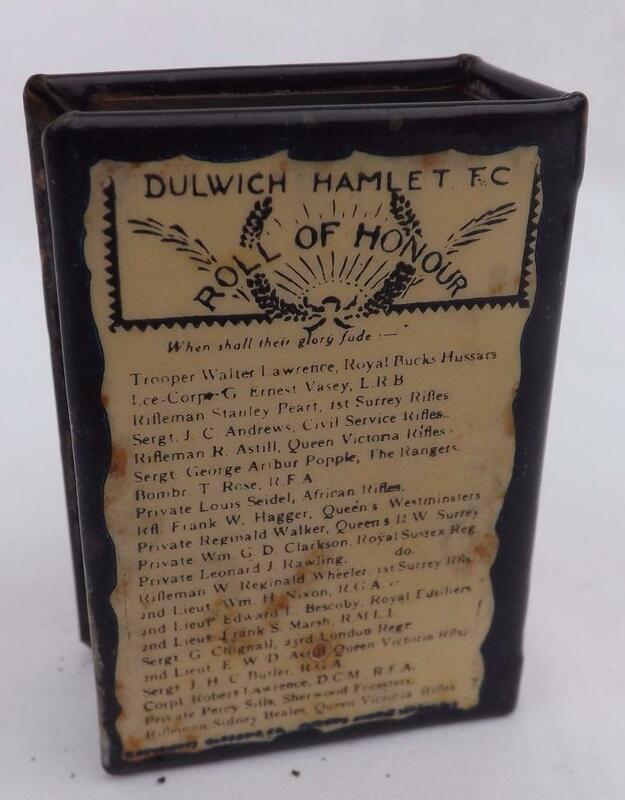 A post First World War matchbox cover featuring the Dulwich Hamlet line up from the 1918/19 season and a list of the Hamlet war dead. On the side are the names and addresses of the Hamlet ‘management team’ of George Wheeler and Lorraine ‘Pa’ Wilson. 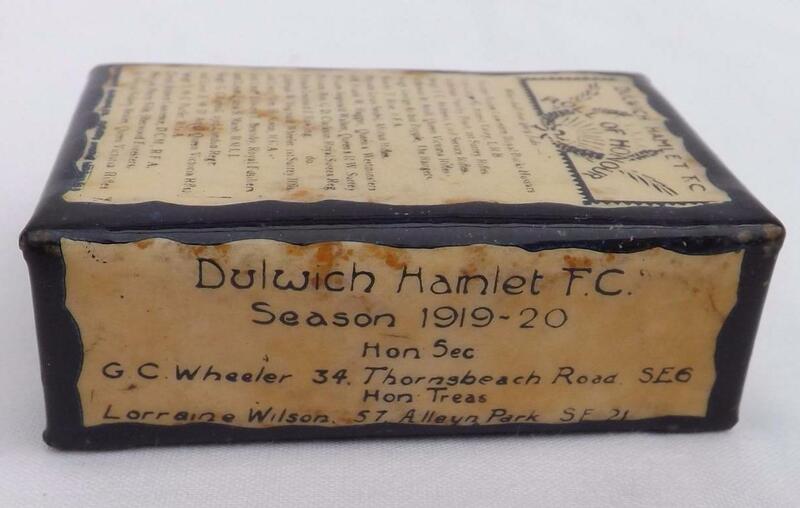 The covers were produced at the start or during the season in which Dulwich secured the Isthmian League and the FA Amateur Cup for the first time. Matchboxcovers were very popular in the early part of the 20th century. Made of tin, folded to make three sides, and coated with celluloid featuring photographs and wording ranging from famous people to regimental badges. Celluloid was the same material that movie films were made of, and ironically, highly flammable. 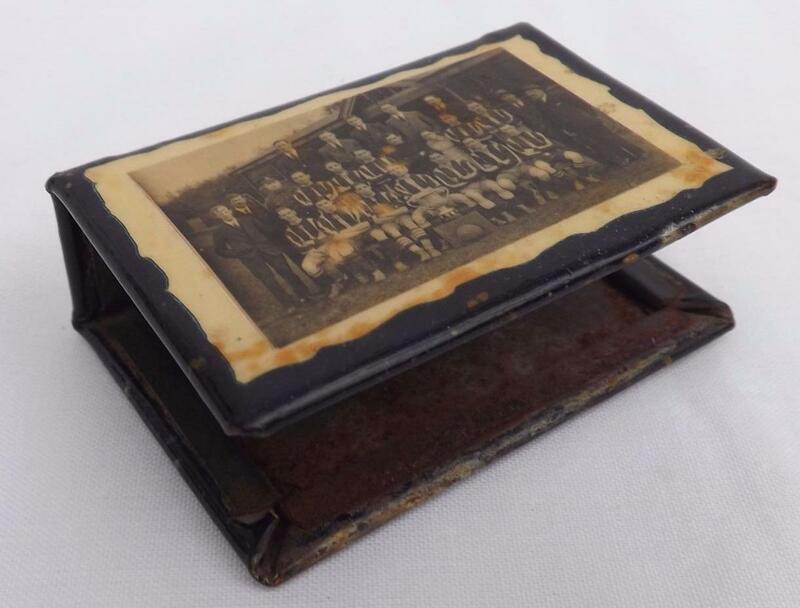 This amazing antique item is currently up for auction on Ebay here. You have the opportunity to bid for a county cap and badge that once belonged to George Shipway. These items are presently up for grabs on the auction website Ebay, with a starting bid of £99. George Shipway played on the right wing for Dulwich Hamlet either side of the First World War. Before the war he partnered the Egyptian wizard Hussein Hegazi and after the war the legendary Edgar Kail. Shipway was part of the Hamlet's FA Amateur Cup winning side of 1919/20 season. 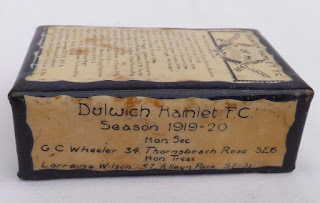 He was also one of Dulwich Hamlet's earliest England Amateur internationals, gaining caps v Germany in Berlin and Holland in The Hague in 1913. The team photo is from the Hamlet's 1921 tour to Paris and Bilbao. George Shipway is top left.